← How Long Should I Wear My Retainers? If your daughter or son is feeling self-conscious about their teeth, accidentally biting their tongue or cheeks, or their dentist has brought up the dread B-word, you’ve got braces on the brain. But when is the best time to actually bite the bullet and get started with orthodontic treatment? The truth is, the answer is different for every patient – and you can’t know what’s best for your child until you’ve met with an orthodontist. There are still some timelines to consider, and we’ve compiled any relevant information below so that you can learn more about when you should schedule that consultation. Just get in touch to book a spot on our schedule! We have locations in Oak Park, Naperville and Hinsdale to accommodate patients living across the Chicagoland area. The first step toward braces is the initial consultation. But when is the right time to set it up? It’s typically best to schedule an orthodontic evaluation by the time your child is 7. Your dentist may recommend that you visit earlier or wait – definitely be sure to take their advice into consideration, as they know your child’s teeth best. The severity of the malocclusion dictates when the patient should begin braces, how many phases treatment will have, and how long treatment will take. Your child’s orthodontist will complete a thorough evaluation and recommend a specific treatment plan. If you’re unsure about any component of their proposed plan, it’s not a bad idea to get a second consultation and meet with a second orthodontist. Different orthodontists may have different approaches to treatment. This does not mean that one is “right” and one is “wrong” – rather, there can be a variety of ways to straighten teeth, especially in more complex cases… more on that below. When Do Most Children Get Braces? Most children/adolescents start orthodontic treatment when they have lost most of their baby teeth and most of their permanent teeth have grown in. This translates to some point between the age of 8 and 14. Treatment can take advantage of your child’s developing jaws and overall growth to build toward ideal results. When the head and mouth are still growing, the teeth are easier to realign. This means that earlier treatment is almost always better – or at least, setting up an orthodontic consultation at an early age. Even if braces are not necessary, it’s always wise to know what to expect and set any worries to rest. Before orthodontic treatment, there may be some kind of preparation necessary to create enough space in the mouth for teeth to shift. This may be accomplished using dental appliances like spacers or an expander. In some cases, your orthodontist may recommend extractions. Common Treatment Plans – What’s Right for My Child? As we mentioned, if you have multiple orthodontic consultations, you might receive conflicting advice on what should be involved with treatment, how long it will take, and when to begin. Some orthodontists recommend a single-phased approach, while others recommend two-phase treatment. Two-phase treatment involves the use of appliances at an early age when the child still has baby teeth. Once their permanent teeth have grown in, they begin phase two, which is typically braces. The first phase intends to reduce the amount of time that the child ultimately spends with braces. Both approaches prove effective – you should work with the orthodontist whose treatment plan sounds manageable for you and your child, and who you feel comfortable working with. You will be spending a lot of time with this orthodontist as you and your child return to the office once monthly for the course of treatment – make sure you are easily able to communicate with them so that you can build a good relationship. When Do Braces Take Longer? There are always exceptions with orthodontic treatment plans. With the incredible number of factors to take into account when planning treatment, your orthodontist will make recommendations that are specific to your child’s needs. There are many different types of malocclusion and related issues. If the patient has impacted canines, severe crowding, an extreme overbite or underbite, or other complex concerns, treatment is likely to take more time and additional steps. The time estimate that your orthodontist provides at your child’s consultation is just that – an estimate. While they will do everything possible to stick to that predetermined length of treatment time, complicating factors can arise while the teeth are being straightened. It’s also crucial that your child make all of their appointments and wear any rubber bands as instructed. And excellent oral hygiene will help them avoid cavities, which might delay progress. We have a few blog posts on helping your child speed through treatment – and we’re also here to answer any questions. 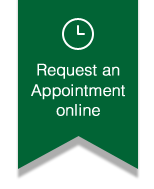 Ready to schedule a complimentary orthodontic consultation? Reach out to our office today.